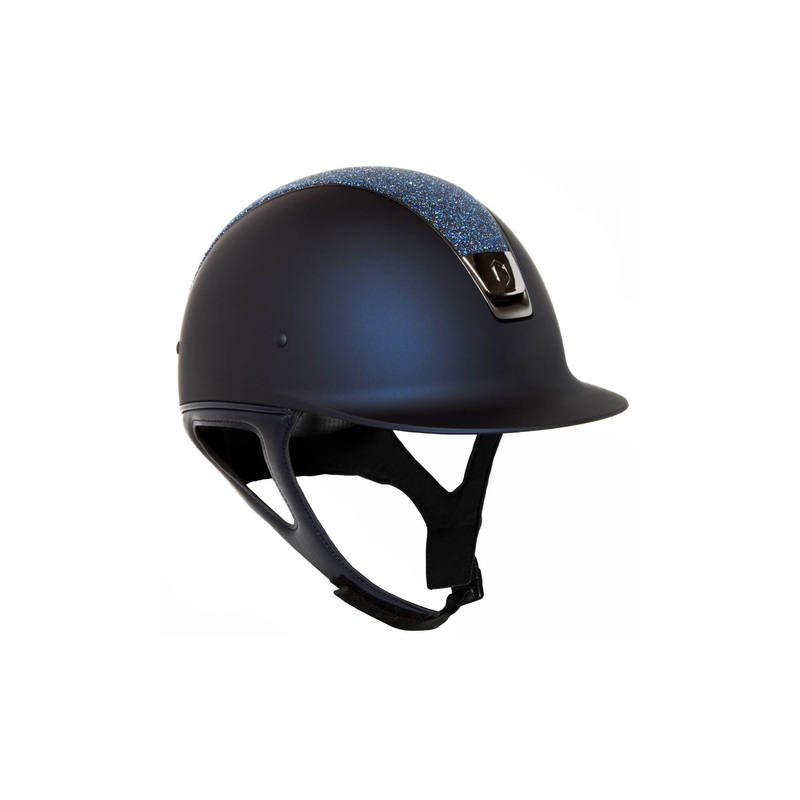 Very durable and exceptionally light helmet from the classic Samshield collection - Shadowmatt. Top of this helmet is covered with special Cristal Fabric Swarovski material, which consists of fragmented crystals. Shield and trim are in black chrome colour. The shell is made of matt, cratch-resistant polycarbonate in blue colour. 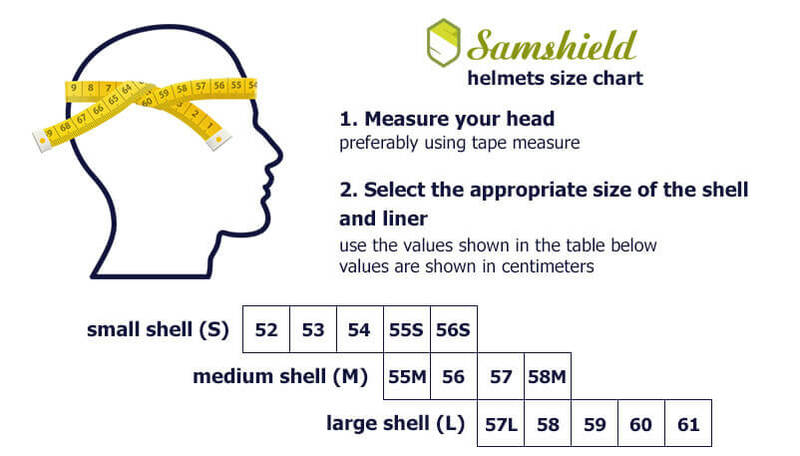 On its inner side the shell of the helmet is covered with a layer of polystyrene of varying thickness, which guarantees even better distribution of energy produced during shock. The ventilatory system of this helmet perfectly carries out the heat excessed from the shell and at the same time is not blatantly obvious. 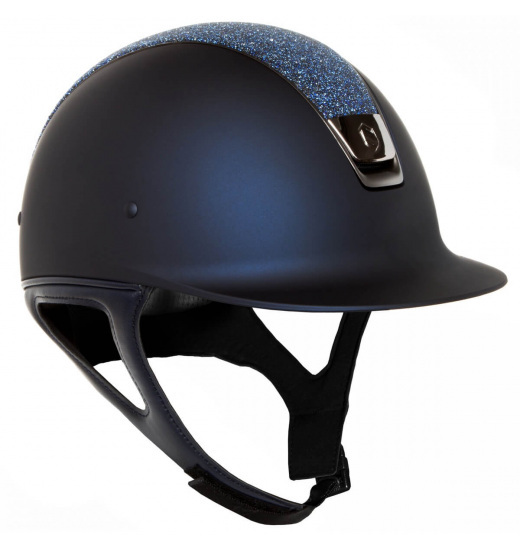 There is a liner made special sponge on the inside, attached on hobs, which fits to the rider's head shape and provides perfect fit of the helmet. Application of interchangeable liners allows to keep the helmet clean. The liner can be washed in 30 degrees Celsius. The helmet perfectly protects the most delicate head parts during impacts. Materials of the highest quality used in production of the helmet, combined with hand-made trimming mean that this product is an exclusive one, made with diligence about even the smallest details. It will meet expectations of the most demanding riders, who expect the highest comfort and safety. This helmet will be perfect for competitions, but also for trainings.